Much better than second single and just good fun type track. <br><br>3rd UK top 10. 14 weeks in the UK top 100. <br><br>UK#9.<br>Ireland#6.<br>Portugal#8.<br>Scotland#8.<br>Latvia#48.<br> <br>Taiwan#3.<br><br>Canada#17.<br>US#39. <br><br>World Chart Year End (2012): #74.<br><br>200,000 copies sold in the UK.<br>1.4 million copies sold in the US. ja, wird die dritte single werden. guter beat, song gefällt mir. the 3rd single, also amazing! Omg I love this song so much!!!!! !<br>Such a great party song! ▒ Prima plaat van de jongensformatie uit het Verenigd Koninkrijk bestaande uit "Louis Tomlinson, Niall Horan, Liam Payne, Zayn Malik en Harry Styles", uit eind november 2011 !!! De heren eindigden in 2010 als derde in het Britse talentenjachtprogramma "X-Factor" ☺!!! Finde ich auch nichts dran, das diesen Schnitt rechtfertigen würde. Klare 3*. Meilleur que l'insipide 'Gotta Be You', ça s'écoute, sans être du grand art. First listen back in November, loved it straight away. It's a catchy song but fairly generic and so I can't give it a 6. An improvement on Gotta Be You, but not as good as What Makes You Beautiful. Some pretty catchy pop though! A catchy and fun pop song, but it's not as good as What Makes You Beautiful. iedereen vind dit precies zo geweldig, maar ik vind het echt totaal niks. Goed voor tienermeisjes zot te krijgen, maar daardoor is het nog geen goede muziek. Not only is it stupid and pointless, it is really boring and lousy as well. I like this more than What Makes You Beautiful. Their best track thus far. A very catchy track and the production is very strong despite being quite generic and similar to What Makes You Beautiful. My favourite track from them so far. I think I love it because of its association with I Want It That Way. Helemaal met JeankeL eens. Slechte opvolger trouwens. They're still too annoying to take seriously. I've never minded this but I've just found it to be a lesser "What Makes You Beautiful". This seems strange as that song has a more awkward melody, but it somehow succeeds over this. Mit Abstand das Schlimmste, was UK derzeit zu bieten hat. Blasse Milchbubis mit widerlich schleimigen Stimmchen, deren Musik reinster 90's-Boyband-Abklatsch ist! Die nächste berechnete Billigboygroup-Abzocke, ohne lange und im kollektiven Gedächtnis verweilende Karriere. Ja Mädchen, kauft es auch hierzulande. Was für ein scheiß. Die fünf sehen zu gut aus um schön zu sein. Wat is dit? wat moet ik hiermee? Geniet al grote bekendheid bij de 'Hitkrantmeisjes'. Moet zeggen dat ik er niet echt wild van word. Not as good as 'What Makes You Beautiful'. Just as good as 'What Makes You Beautiful', as far as bubblegum pop goes, this A grade material. Insanely catchy, great harmonies again and that big sing-a-long style chorus.<br><br>The video is painfully cheesy though, it's awful. IIII Waaaant It Thaaaat Wayyyy. Their best song before 2015. The battle of the boybands: in Engeland strijden The Wanted, One Direction en JLS (niet letterlijk, overigens) op de felbegeerde titel van meest succesvolle boyband. JLS scoort hier niet en The Wanted na 'Glad You Came' ook niet meer, al is het een prima boyband. De tienermeisjes worden helemaal hysterisch van deze One Direction en dat kan ik best begrijpen; het zijn zeker geen lelijke boys! Daarnaast maken ze ook prima muziek: waar debuutsingle 'What Makes You Beautiful' een makkelijk in het gehoor liggend popnummer was, heeft 'One Thing' een wat ingewikkelder arrangement. Echter niet zó ingewikkeld dat het ook écht moeilijk is om mee te zingen, want dit ligt net als hun debuutsingle makkelijk in het gehoor. One Direction is een blijvertje! Ik vin' 'm leuk! Catchy nummer door cuty boys. De video past er perfect bij. Heerlijk! An und für sich nicht übel aber mich kotzt es an wie alles maßgeschneidert für die kleinen Mädchen gemacht wird. <br><br>Deshalb kann man diese Musik einfach nicht ernst nehmen. Der beste mir bekannte Song von One Direction. Simpler, eingängiger Pop/Rock, der sogar fast die 5 verdient hätte. Not my cup of tea, but it's ok.
Ich mags total! Gibt echt einem den Ohrwurm! Vrij geslaagd popnummer van "One Direction" (2011). Werd begin 2012 een kleine hit in de Vlaamse Ultratop 50: zes weken notering met een piek op plaats 37. 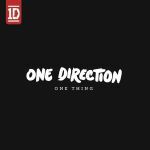 Naar boven afgerond vier sterren voor "One Thing". Not too bad, but not really that interesting either.<br>EDIT: Pleasant yet bland at the same time. Harmonies are ok (at times). 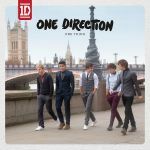 Best heel leuk nummer van One Direction! Jammer dat het niet zo een grote hit werd! Vijf sterren! Boy-Sound der nun wirklich nicht sonderlich erwähnenswert ist. My favourite One Direction song, just edging out More Than This. Very very catchy. This isn't great. It's boring and UK music is annoying me at the moment because they are trying to bring back the boy bands when I was just getting happy with them not being popular. Dank eines dringenden Hinweises seitens des hauseigenen Nachwuchses bin ich auf diesen saftig arrangierten und melodisch in hohem Masse gefälligen Midtempoknaller gestossen. Unter Ausblendung des infantilen visuellen Boygroup-Charmes verleihe ich, in erheblicher Überzeugung über die Richtigkeit der Absicht, die aufgerundete Bestnote. This one is interesting. There was a point in time in 2012 where I loved this and would've easily given it 6 stars. A lot has changed since then. <br><br>It's really weird that I once enjoyed this so much as nowadays I'm so over One Direction and just want them to go away for a few year. But then again at the time I did have multiple 1D stans as friends with one of those not being able to handle even the slightest criticism or negative comment about them so that possibly led me to end up loving this. But once i dissociated myself from those 1D stans my tolerance of 1D started dropping; which takes me to this. While I don't love this anymore I still enjoy it a fair bit, which is quite strange considering my views on them.<br><br>Onto the song itself, I can definitely see the similarities with "I Want It That Way" but I think this is better. It's very catchy, fun and enjoyable and one of a few of their songs that I think can actually appeal to other demographics outside what seems to me to be the only demographic they care about, that being teenage girls. I think it's easily their best and I'll be surprised if they can outdo it because most other releases from them have been poor. I think this deserved to be their biggest (and signature) hit instead of "What Makes You Beautiful". I'm interested to see how well this will age for me in future. Better AND catchier than their first single. More annoying junk from 1D. Een hit geworden door de verliefde tienermeisjes. Zo ken ik er meer hoor...<br><br>Dit stamt af van What Makes You Beautiful. Vroeger haalde ik de nummers altijd door elkaar. Dat is ook hun beste nummer. Dit doet me niks. Tienermeisjes die in de grap trappen van One Direction om in de hitlijsten te komen met zwakke nummers. Alleen omdat de band ''knap'' zijn, en omdat het over verliefdheid gaat. Naar mijn mening zwakke muziek. Typical generic track that gets old fast. <br>Only tolerable in small doses. 2.5 - 3. It's great. Much like Zacco, I had many One Direction stans as friends (in fact all my female friends bar a couple, both of whom are now Directioners :P) so I felt guilty to like this so much then. It's aged greatly and despite never hating it it's better than I would have said. It's surely their second best behind their debut and with "What Makes You Beautiful" it's better than everything else they've done. "I Want It That Way" >>>>>> though. Niet slecht, maar rond het toch af op 2 sterren.